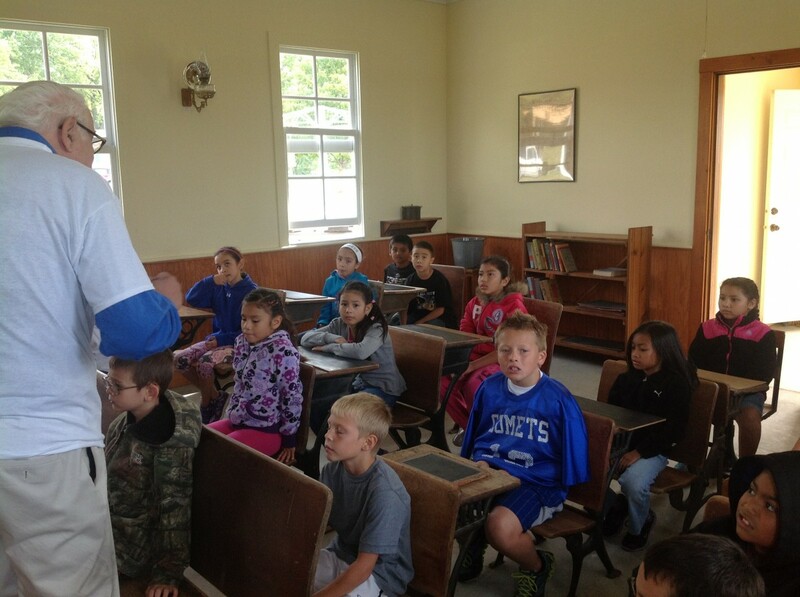 The one-room school on the Depot Campus is an example of one-room schools in Iowa. There are very few that remain standing and have not fallen to disrepair. 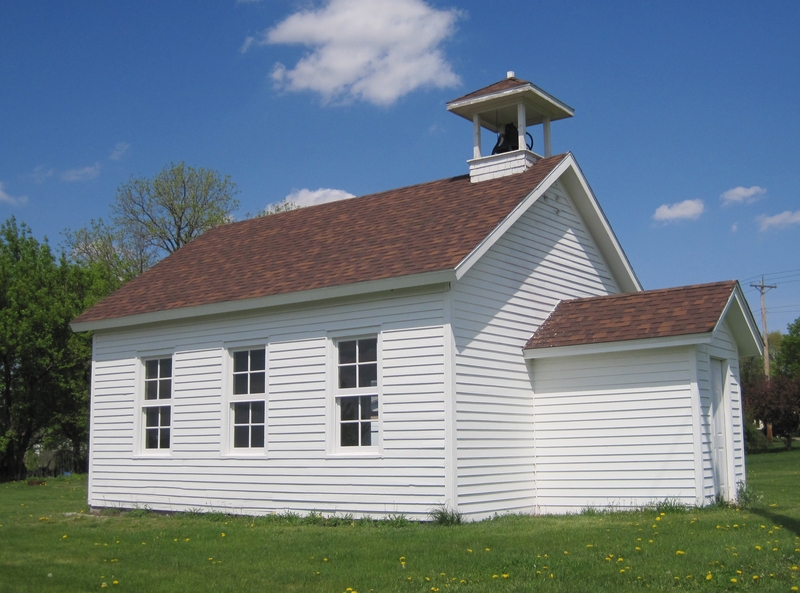 This school was found on 130th Street, southeast of the City of West Liberty. 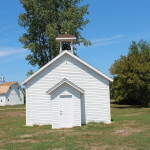 It was located on the Dave Johnson farm and was being used as a tool shed. 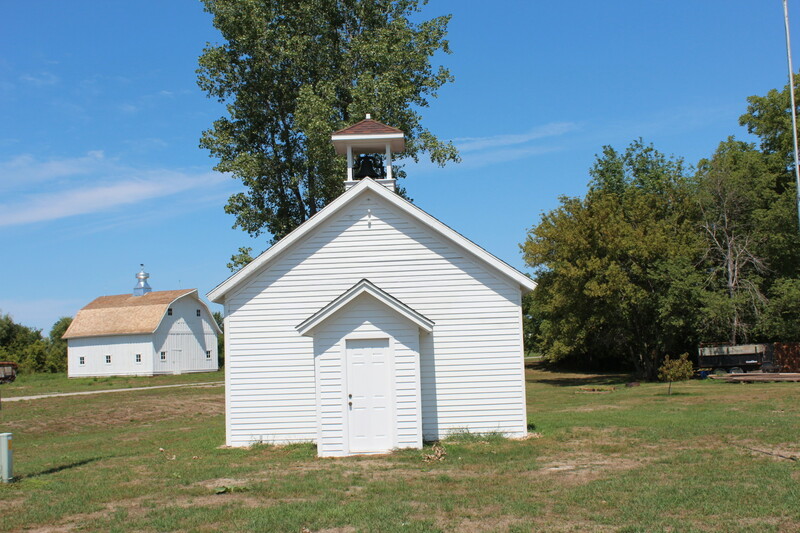 Originally, Goshen # 8, also known as the Swamp School, was located on 130th Street near an old swamp just west of the Johnson farm. 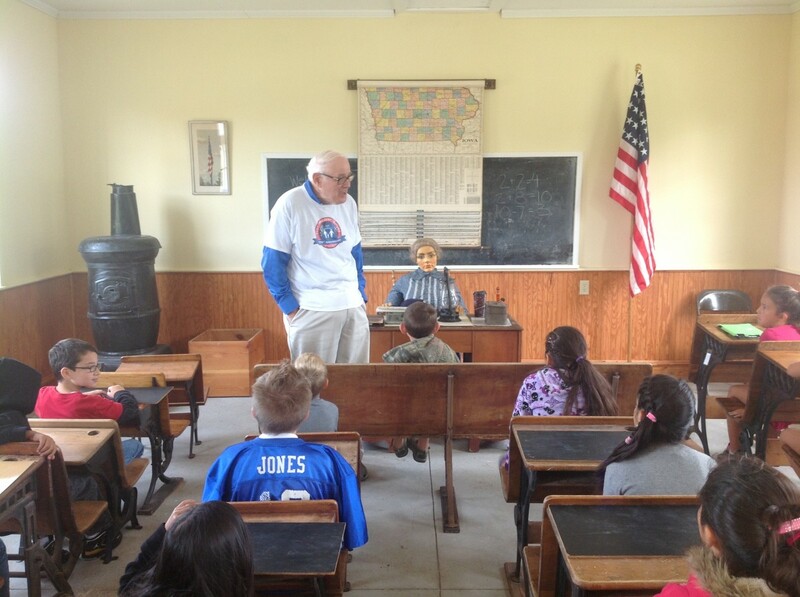 Information available to the WL Heritage Foundation is that the school was built about 1879. 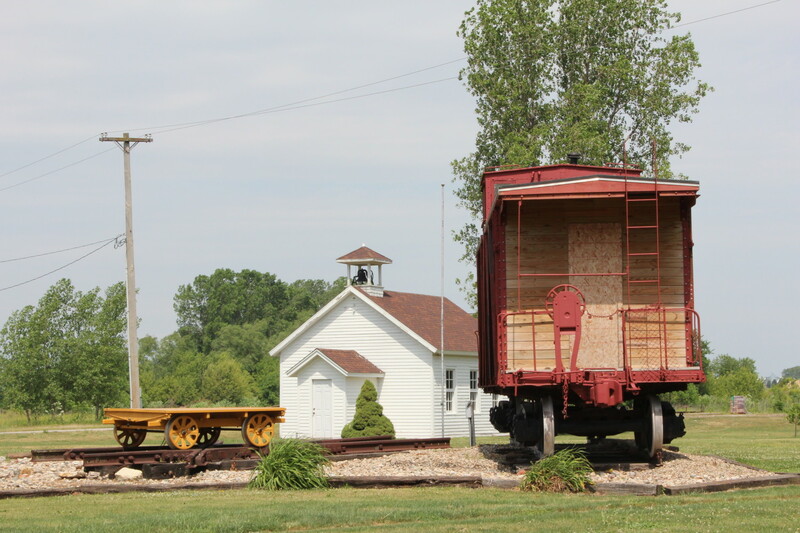 The WL Heritage Foundation used Goodwin House Movers of Columbus Junction to move the school to the present site on the Depot Campus. 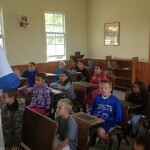 The inside of the school was renovated to look very much like the original school. The school was rewired and new floor and windows were installed. An 1879 U.S. 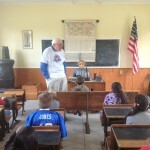 Flag, along with pictures that would have been in schools prior to 1900, are on the wall. 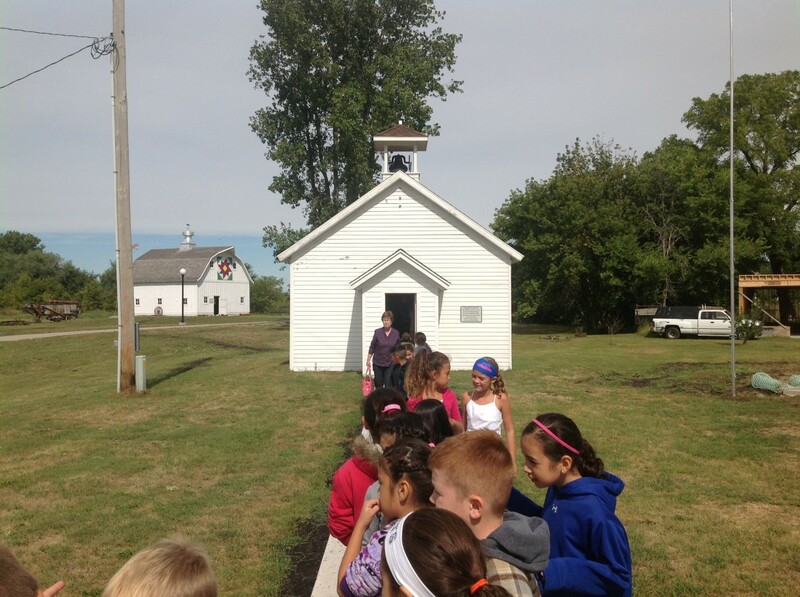 A sidewalk has been installed from the Depot to the “Swamp School”.